What Is The Bad Guy Doing? Creating a strong antagonist in a crime novel can be the key to the success or failure of your story. I’m a firm believer that “the bad guy” has to be as smart or, preferrably, smarter than my hero…and someone whose personality and actions will highlight all the weaknesses and conflicts that make my hero who he is. I also make sure my “bad guy” is more than just a bad guy…he’s someone with his own agenda, his own demons, his own needs, someone who has more going on in his life than whatever criminal act he is engaged in (or that he has already committed). And that’s very important. Rarely is anyone just pure evil for evil’s sake…except in cartoons, Batman episodes, or James Bond movies. I always try to look at the story from the bad guy’s point of view and ask myself what he’d be doing if he was the hero of the story…and if my protagonist was, in his view, the “bad guy.” I have to invest as much thought in my bad guy as do in my hero if the story is going to work. I learned to make my bad guys fully-rounded characters, with lives and goals of their own, from watching COLUMBO…and later working for Stephen J. Cannell…and reading Elmore Leonard and Larry McMurtry. On COLUMBO, we spent the first half-hour of each episode watching the bad guys, getting into their lives, understanding why they had to kill. But what ultimately made COLUMBO such a pleasure was that he was always outmatched by the bad guys…and beat them anyway. The smarter the bad guys were, the smarter he had to be to beat them. Or, to put it another way, the best bad guys brought out the best in Columbo. It was Steve Cannell, one of my mentors, who taught me to always ask myself “What is the bad guy doing?” “What does the bad guy want?” “What is the bad guy thinking about?” in every scene where the bad guy wasn’t on screen. The bad guy always had to be doing something, not sitting around waiting for the detective to catch him or simply throwing obstacles in the detective’s way. Elmore Leonard and Larry McMurtry (in his westerns) made their “villains” as likeable, layered and interesting as their heroes…in fact, some times they were even more compelling. Leonard and McMurtry excelled at creating likeable, funny, believable psychopaths and killers. The bottom line: having a strong antagonist makes your hero stronger and your story better. 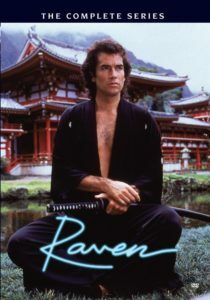 RAVEN: The Complete Series – This show is very much an artifact of its time and is heavily influenced by previous TV hits written, created & produced by Stephen J. Cannell (ROCKFORD, A-TEAM etc) and Glen A. Larson (MAGNUM PI, SWITCH)…which is no surprise, since RAVEN writer/creator Frank Lupo worked for them both for many years. Jeffrey Meek was a white ninja looking for his lost son and helping people in trouble in Hawaii. He was aided in his search, and his do-goodery, by his Army buddy “Ski,” played by Lee Majors. RAVEN is pure, escapist fun that doesn’t take itself too seriously (in fact, its much better than I remembered it). Majors pretty much stole the show from Meek, which wasn’t too hard. Meek was likeable, and a talented martial artist, but didn’t have much charisma. Nobody would mistake him for the next Tom Selleck, James Garner, or even Lee Majors (in his glory days). Even so, I’m surprised the series didn’t last longer…perhaps it was a matter of timing, hitting the scene just as this style of television was becoming dated and stale (at least for the time being). This was Meek’s second attempt at TV stardom (having previously starred in the short-lived latenight series THE EXILE) and would have one more failed shot (MORTAL COMBAT) before the networks gave up on him as a series lead. The kitschy main title sequence and Christopher Franke’s theme truly capture the flavor of the show. MOST WANTED: The Complete Series – I had to buy this. I am a sucker for any series Quinn Martin produced, especially the really obscure ones (I can’t wait for A MAN CALLED SLOANE, CARIBE, BERT D’ANGELO: SUPERSTAR, and BANYON to come to DVD. How pathetic does that make me?). Robert Stack didn’t show a lot of range on television. He played the leader of an elite crime fighting force in three series (THE UNTOUCHABLES, MOST WANTED, and STRIKE FORCE) and a crime reporter in another (THE NAME OF THE GAME). 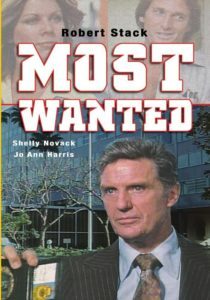 MOST WANTED, which aired on ABC in 1975, is easily the worst of Stack’s four TV series and assembly-line Quinn Martin fare — in fact, the police station set is identical to the one in THE STREETS OF SAN FRANCISCO. By far the best thing about the show is Lalo Schifrin’s terrific theme…and the most interesting aspect of the show is how the main title sequence changed between the one used for first two episodes and the one used for the rest of the short-lived series — the action sequences in the first one were replaced by shots of Stack awkwardly attempting to smile. Still, as bad as the show is creatively (and perhaps explicitly because of it), I enjoyed the set, which says a lot, given how technically awful the transfers are. I realize CBS isn’t going to spend the money to digitally remaster prints for a set like this, which appeals to a very narrow niche of customers. That said, I wish the studio would still put a little effort into it and find prints that weren’t run through sand paper before being transferred. The image clarity, color levels, and sound quality are wildly uneven/inconsistent from one episode to another. It’s as if they just slapped this together in an afternoon. The studio could have taken more care and produced a quality product. THE MASTER: The Complete Series – For some reason, I had fond memories of this show…which is why I bought the set. What was I thinking!? The show itself is absolutely awful by just about every measure. Lee Van Cleef doesn’t even bother to act, seemingly reading lines off some distant cue card and repeating the words as if English was his second, or perhaps third, language and doesn’t understand what he is saying. The scripts are terrible. The direction is perfunctory. The martial arts sequences are poorly staged and edited…it’s laughably obvious when Van Cleef steps out and the stunt man steps in. Bill Conti’s music is a rehash of his FOR YOUR EYES ONLY score. It’s easy to see why this show bombed. Oh, I forgot to mention the concept. 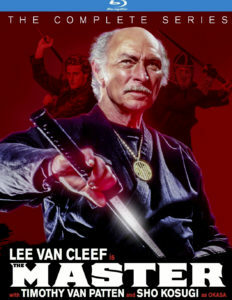 Van Cleef is a white ninja searching for his long lost daughter. He is aided in his do-goodery by Max (Timothy Van Patten), wise cracking kid tooling around the country in what look like Scooby Doo’s van. The DVD set itself is exceptionally well-produced with pristine picture and sound. 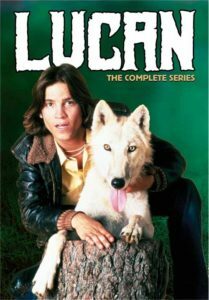 LUCAN: The Complete Series – I didn’t buy this set because I was LUCAN fan (though I did fondly remember composer Fred Karlin’s theme, which was only used in the pilot and first episode. I had it on a cassette tape). It’s one of those wonderfully awful, totally deriviative series from the 1970s that inexplicably fascinate me. LUCAN only lasted for 13 sporadically aired episodes and, to my knowledge, has never been rerun. The pilot starred Kevin Brophy as a man who was raised by wolves…and ends with him setting off to wander the country in search of his parents and, spirtually, himself. Sort of ROUTE 66 meets TARZAN…and is every bit as awful as it sounds. That quickly changed…the concept, that is…and the show became steadily worse throughout its short run. In fact, the most memorable thing about the show was how often the format changed. After the second episode, there’s a new theme by JJ Johnson and now authorities, concerned Lucan might “revert to wolf,” have hired a bounty hunter to track him down and imprison him. And four episodes later, the concept changed again...now the bounty hunter had inexplicably become a cop and Lucan was being pursued for a murder he didn’t commit. It became a poor man’s THE FUGITIVE with a touch of THE INCREDIBLE HULK thrown in (THE PHOENIX, HOT PURSUIT, STARMAN and a dozen other short-lived series of the 70s and 80s also had the same, basic premise and were just as awful). Two new books from McFarland & Co. are a feast for TV history buffs. Roy Huggins by Paul Green explores in great detail the TV career of writer/producer Roy Huggins, creator (or co-creator) of such classic shows as Maverick, The Fugitive, 77 Sunset Strip, Toma, Baretta, The Rockford Files, The Bold Ones: The Lawyers, and Run For Your Life, as well as the driving force behind the creation of the “TV movie.” He also produced many other series, including The Virginian, Cheyenne, Hunter, Kraft Suspense Theater, and Alias Smith and Jones, to name a few. The book is based on dozens of personal interviews, Huggins’ own unpublished memoirs, newspaper & magazine articles, as well as my own, six-hour video interview with Huggins for The Archive of American Television. It’s a great book, exploring all of the creative issues, production details, political machinations (studio and network), and personnel matters (his relationships with actors, writers, producers etc), that shaped the weekly series, TV movies, pilots and mini-series that Huggins made as a producer, studio chief, and later as a hired gun. It’s exactly the kind of book that I wish somebody would write about Stephen J. Cannell, Glen A. Larson, Fred Silverman, Steven Bochco, Bruce Geller, Goff & Roberts, Levinson & Link, and so many other TV producers. Green clearly admires Huggins, but is not so enamored of his subject that he ignores the producer’s faults, mistakes and failures. This is a serious, well-researched, information-packed reference work that is nonetheless an easy and engaging read. You don’t have to be familiar with Huggins’ shows to find the behind-the-scenes stories both fascinating and informative. This book isn’t just for fans of Roy Huggins or his shows — it’s a must-read for students of TV history and anyone interested in a career as a TV series show runner. It’s hands-down one of the best books ever written about a TV producer…or being one. Everyone knows about George Burns the actor and comic, but few people these days are aware of his influence as a TV producer and head of a successful production company. Much like Desi Arnaz, another major actor/producer/studio chief of the 1950s and 1960s, Burns did ground-breaking work that is still influencing TV writers and producers today. That’s why Richard Irvin’s George Burns Television Productions: The Series and Pilots 1950-1981 is a much overdue and necessary piece of TV scholarship. Burns famously broke the fourth wall with his Burns & Allen Show, about a showbiz couple with a TV show playing a showbiz couple with a TV show. He also produced such series as The Bob Cummings Show and Mr. Ed, and many of the writers, directors and producers that he worked with and supported went on to create huge hit series (like Paul Henning, who went on to create The Beverly Hillbillies and Green Acres). Burns and his company refined the art of using episodes as spin-off pilots, though none of the ones he did on Burns and Allen, or on Mr. Ed or The Bob Cummings Show, ever took off. Irvin’s fine book delves extensively into every business and creative aspect of the Burns & Allen Show, the Bob Cummings Show, and The People’s Choice, as well as every single project that Burns’ production company ever produced…every series, every pilot, and even the stuff that never got made. It’s one of the few books about the history of a TV production company and its a strong one…and for that reason alone, Irvin and McFarland & Co are to be commended. This is clearly a labor of love for author and publisher…because outside of a few diehard TV historians, and TV geeks like me, I can’t imagine there’s much, if any, market for a book with such a narrow focus. Unlike Roy Huggins, this is not a book that is a must-read for scholars or wanna-be TV show runners. 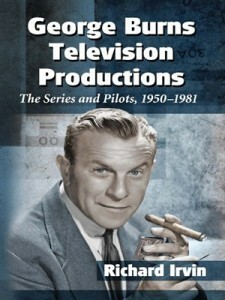 You’d have to already be interested in the shows that George Burns produced, or in unsold pilots in general, or in 1950s and 60s TV history, to find this book worthwhile. For me, it was a home run. I loved it. A note on my biases/possible conflicts of interest: I bought my copy of Roy Huggins, because I have a strong interest in his work. I’ve admired Huggins since I was a kid. I interviewed Huggins many times during my career as a journalist. In fact, I went into this expecting to be disappointed, to find very little “meat,” lots of errors, and to learn little that I didn’t already know. I was very pleased to be wrong. I’ve also worked with Jo Swerling Jr., who is quoted frequently in the book, during my time as a writer/producer at Stephen J. Cannell Productions. And, finally, I was a writer on Hunter, but several seasons after Huggins produced the show. I received a review copy of George Burns Television Productions from McFarland & Co, which published my reference books Unsold Television Pilots, Television Series Revivals, and Science Fiction Filmmaking in the 1980s over twenty years ago. I’ve been reading a bunch of TV and movie reference books lately, most of which have been a disappointment. There’s a great book to be written about the writing and production of BONANZA, something akin to the brilliant and comprehensive GUNSMOKE: A COMPLETE HISTORY. 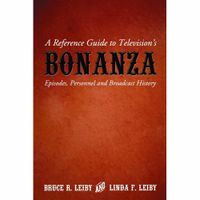 Sadly, A REFERENCE GUIDE TO BONANZA by Bruce Leiby and Linda F. Lieby, now out in paperback, isn’t it. A scant eight pages — eight pages!– are given to the creation, writing and production of the show. The bulk of the book is a workman-like episode guide to the 14 seasons and brief synopses of the TV movies, hardly worth the price of purchase. The only thing interesting and worthwhile about the book are the appendices listing various BONANZA merchandise, books, comics, and records. However, I wish the effort the authors put into gathering so much pointless information — like listing all the shows available on video featuring Tim Matheson — had been focused instead on giving us the definitive history of the show. Consider this a lost opportunity. 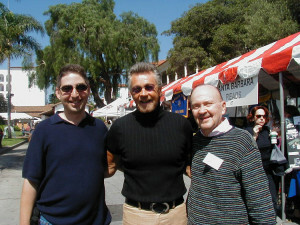 The same can be said of STEPHEN J. CANNELL PRODUCTIONS.